What’s a Smart Slab Assembly for Net Zero Construction in Vermont? Net zero construction in Vermont requires executing high-performance building practices in every aspect of the residential project. A home built to net zero construction in Vermont assumes that the building contractor has incorporated high-performance standards within every element of construction. A high-performance home is super-insulated from the foundation to the roof, super sealed from air incursion, and equipped with energy-saving heating, cooling, lighting, and appliances. As the associated graphic helps indicate, the process of achieving net zero often starts with foundation design. The end goal is to construct a home using the most energy-saving techniques possible. Because net zero construction in Vermont homes are built using the same, readily available building materials, but employ the use of those materials in technologically superior ways, the added cost to build such a well-insulated home may be minimal. Constructing a net zero home, like a conventional home, begins with a foundation. Both conventional and net-zero homes use a slab or foundation made of concrete. But that’s where all comparisons stop. A conventional foundation serves as the supporting structure for your home, but that’s it. A smart slab separates the living space from the cold ground as well as providing the supporting structure upon which the home is built. 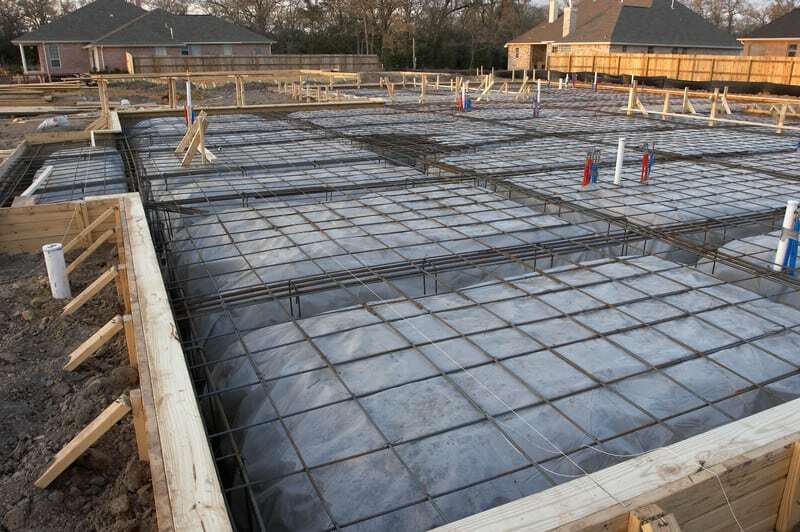 A smart slab encompasses insulation, air-sealing, and moisture barrier altogether. Using a smart slab to achieve net zero construction in Vermont means that the home is built to exacting energy standards from the ground up—literally. Why Is Having a Smart Slab Important? Because heat rises, traditional construction practices focus on attic insulation. Many homes built just after WW-II were insulated in the attic only. While attic insulation and the later practices of insulating walls saved on energy costs, there is a secondary benefit to insulation: feeling warm. A poorly insulated slab or uninsulated slab will never feel cozy. In northern New England, no one wants to feel cold and so the usual solution is to turn up the thermostat—not a great idea if the goal is net zero living. Is a Smart Slab Built as Well as a Traditional Foundation? A smart slab shares the same site work and excavation techniques as any good conventional foundation. In both cases the slab is made from poured concrete—but that’s where all similarities disappear. Constructing a smart slab system begins with laying down four inches of high-density EPS foam first. A heavy vapor barrier goes on next. Then the concrete is poured. The exterior foundation (frost wall) receives similar high-quality insulation. Advanced construction practices result in the interior envelope of the home being completely removed from the exterior environment. These construction practices are new, but not experimental. We and other ‘green’ builders have been building high-performance homes for many years. Because net zero, net metering, and solar ‘PV’ systems are now time-tested, Vermont has set a goal for all new construction to be net zero homes by 2030. If you like the idea of not spending money on utility bills and want to live comfortably, then net-zero living is for you.